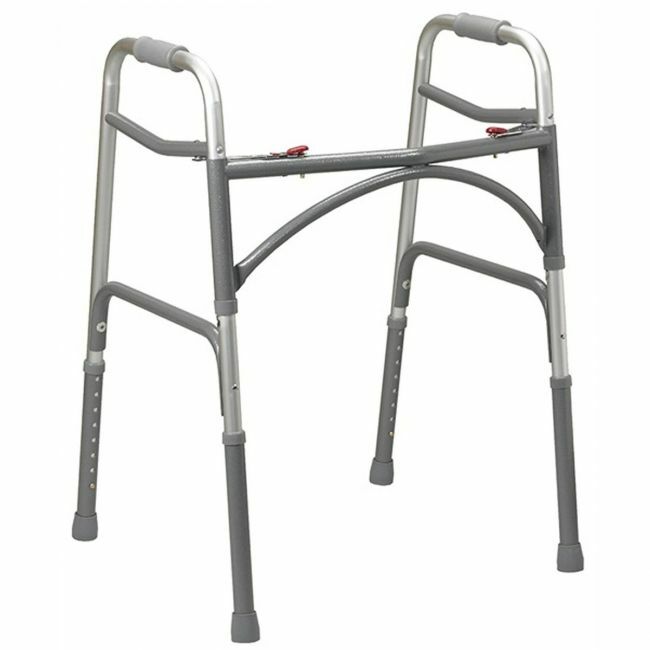 Feel supported with the help of a sturdy yet lightweight folding Zimmer frame. The bariatric folding walking frame provides the necessary support and stability to rise from a seated position. The aluminium frame supports users up to 35 stone, yet is light enough to lift at just 5kg. Ergonomic handles offer a reassuring grip, while a simple folding mechanism makes storage and transportation effortless.